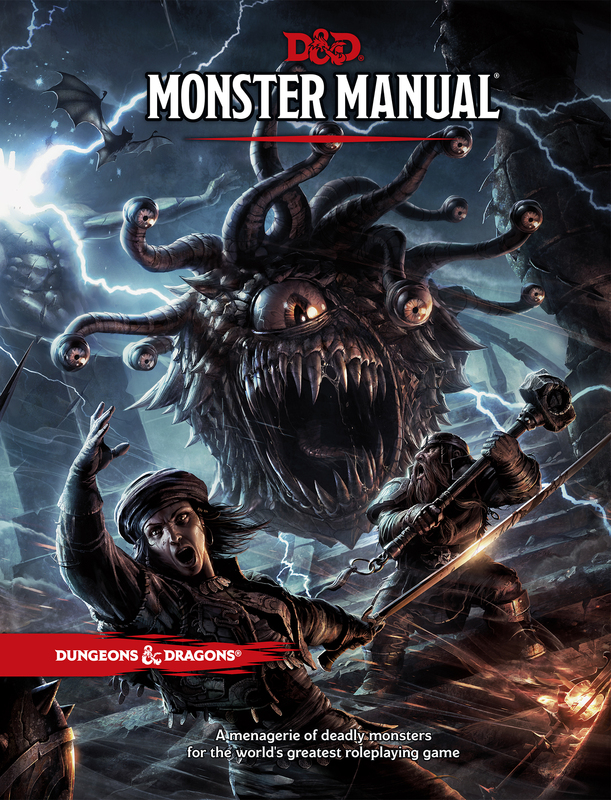 Dungeons & Dragons: Monster Manual, Out Now! The second of three core rulebooks, Wizards of the Coast‘s Dungeons & Dragons: Monster Manual provides the framework for players to experience the detailed encounters with the numerous iconic monsters of D&D. The manual unearths creatures that characters might encounter over the course of their adventures. The book is beautiful with amazing art, and a layout that contains tons of information but at the same time is easy on the eyes. Check out some of the interior art of some of the monsters contained within. And check out pages from the book of the information provided. It’s an essential resource for Dungeon Masters who want to add tons of excitement to their gaming experiences. Check out our unboxing video below as we get a first look at the book!